Wine might be the most complex and social beverage known to humankind. So many components influence its flavor - where the grapes were grown, the grape varietal, vintage or year of harvest, climate (also known as terrior), and how the wine is made. Every bottle is a mystery and its quality subjective to individual tastes. Wine is also sharable, almost to the extent that sharing is expected. It brings people together over nice dinners more so than any other beverage. Many wine connoisseurs have bottles that are being saved for that right time when they can be shared with someone special, or in celebration of something special. Because of its complexity and social nature, learning about wine in a group setting is common and fun. It provides a great excuse to gather with friends and an economical way to try mutiple wines. The most important part of forming any group is who to invite. Our group meets once a month and the members are mainly friends with some newer acquaintances (or, soon to be good friends). One thing everyone in the group has in common is an interest in learning about wine. Some are knowledgeable and others are beginners, but nonetheless everyone is excited to learn more and open to sharing their opinions. We have used this kit in our group. It includes bags for blind tasting, notes for tasting and an aroma wheel to help describe wine aromas. 1. Highlight a varietal: Pick one or two varietals (a red and a white, for instance) to focus on with each meeting and have each person or each couple bring a bottle. 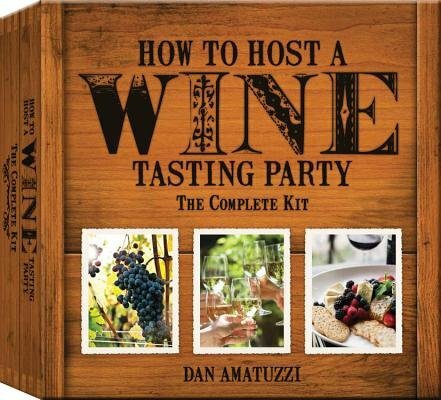 This provides a way to explore the complexity of a single type of wine, such as Cabernet Sauvignon, and how it differs by region, year and wine maker. 2. Highlight a region: Pick a wine growing area and ask everyone to bring a bottle from that region. Our last meeting we chose "Oregon". Naturally, we had a few Pinot Noirs but also a Tempranillo, Syrah, Pinot Gris and a white Pinot Noir. 3. Combine varietal and region: Some areas are famous for specific types of wine, such as Napa Valley and Cabernets. Doing a Napa Cab theme is a great way to learn more about this famous region and compare its most prized grape varietals. 4. Be creative: Sometimes it is fun to pick a creative topic, such as bring a wine that triggers a good memory. This will provide a variety of types and some good stories, which is a great way for the group to get to know one another better. Most wine groups meet on a monthly basis, as anything more can be busy and tough to coordinate. Our group meets on the last Friday of each month, and during the nice summer season we will try to plan at least one outing to a local winery. We have found Fridays to work best, as people are excited to get together after work and still have their weekend free. Having a set day each month allows people to work their schedules around the meeting and gives plenty of time to pick out which wine to bring. The amount of time can vary. Our group meets at 7 pm and we tend to go until 11 pm. Provide adequate amount of time to sample each wine, discuss qualities and opinions, and time to relax, enjoy conversations and not feel rushed. There is no place cozier than a home. Meeting at a member's home is the easiest and most convenient way to go. There can also be the option to sharing hosting responsibilities and move to a different home each month. The group's host can be responsible for snacks and the appropriate glassware. Having finger foods like cheese, crackers and bread items will keep hunger away and provide some filling in the stomach for when the alcohol in the wine starts to set in. Also provide water glasses and encourage your members to snack and drink lots of water throughout the evening. It is important to establish the "why" early in the group. Why are you meeting? Obviously there is a dual focus on wine and friendships, but to what degree? How serious into the wine do you want the members to be? Our group begins with formal tasting together, sampling one wine at a time and discussing the color, smell and tastes. Once we have tasted all the wines together, the rest of the time is a free for all, to drink whatever is left and enjoy the company. We have found this to be a great balance of learning and socializing. 1. How many people to invite: Should the group be small or large? Small groups are more intimate, but provide less wine and can be tough when one or two people are unable to attend a meeting. Large groups provide more wine tasting options, but can deter from the relationship building. Our group has 14 members and we typically have 10 at each meeting. 2. Who should you invite: This goes back to the 'Who' section. It is important to consider what level of wine knowledge or interest each member should have. If you are looking for a more wine focused group of people serious about learning, consider that in your invite list. If the focus is more social with some wine learning, then your parameters are going to be more broad. Most importantly, have fun with your wine group! Wine brings people together like no other beverage. It is easy to share, fun to talk about and gets people relaxed after a stressful week. Choose your group members wisely and put together people that will enjoy the social nature of getting together. Encourage everyone to be involved in teaching and sharing. We look forward to every last Friday of the month as a time to relax, sample an array of wines and to catch up with friends. 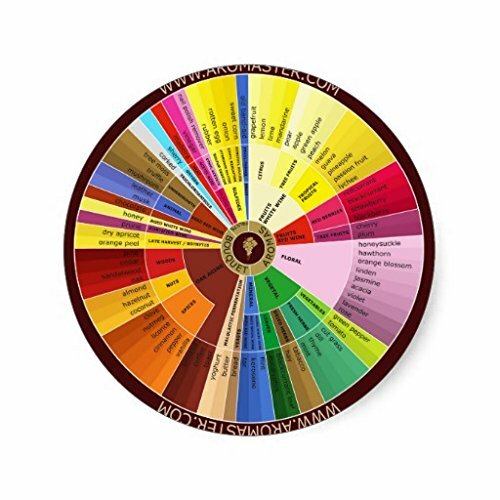 Encourage each member to have their own aroma wheel, which helps to describe common aromas found in wine.